Chimoio hotels, accommodation and places to stay. Guide to where to visit and where to stay in Chimoio Mozambique. 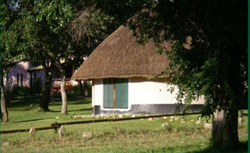 Information on Chimoio Mozambique, location of hotels, lodges, camp sites, guest houses, bed and breakfasts and places to stay in the Chimoio area of Mozambique. Distances from major attractions to Chimoio and information about shops, fuel and facilities. In touch with nature - Casa Msika offers you a chance to unwind amid tranquil surroundings. Casa Msika is set on the banks of Chicamba Dam in a 550-hectare conservancy in the Manica province of Mozambique and is just 450 km across the Zimbabwe Border.